Well, starting from this post, my Europe Trip will be focussed on countries, rather than telling my day to day things which cud be pretty lame since most of the time was spent ...................on the bus! huhu...imagine travelling in a bus for more than 2 weeks, sitting at the same seat (seat has been assigned just before boarding, you can change seat with other people based on mutual agreement, but who wud letgo a window seat, right? mine is at isle and that's where I sat except on the last few days since the people next to me decided to part from the trip), cud be pretty boring. But people are friendly in the bus. We just chatted the whole journey and watching muvies. When we get to the campsite, for those sleeping in a tent, it's time to set the tent. It wasn't that hard. Ours are like the latest trend and it took few minutes to assemble once you get the hang of it. I fumbled on the first few days but the rest of the days just smooth sailing. And there are few times I slept in cabin for comfy. From Holland, next destination is Germany. Our two main destination is Heidelberg and Nueschwanstein. Both for the castles. 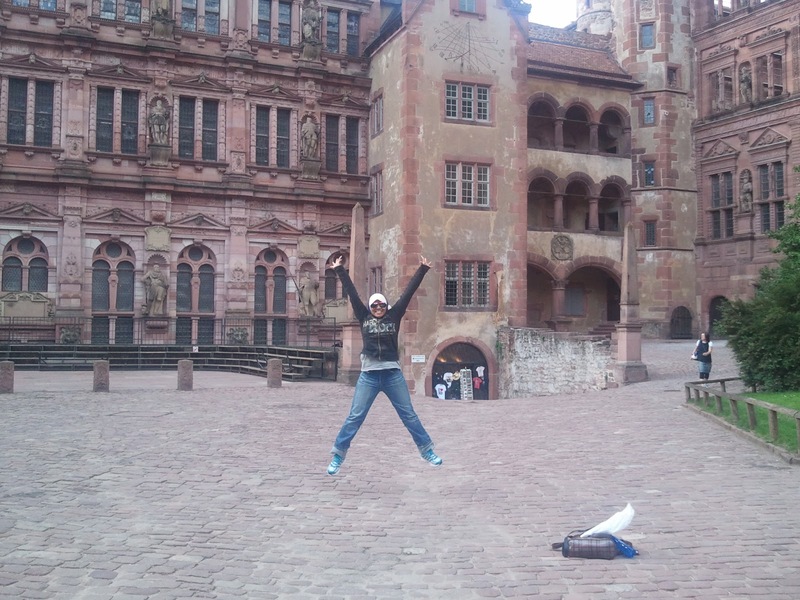 Initially, the trip did cover Heidelberg. Frankfurt was supposed to be the destination. 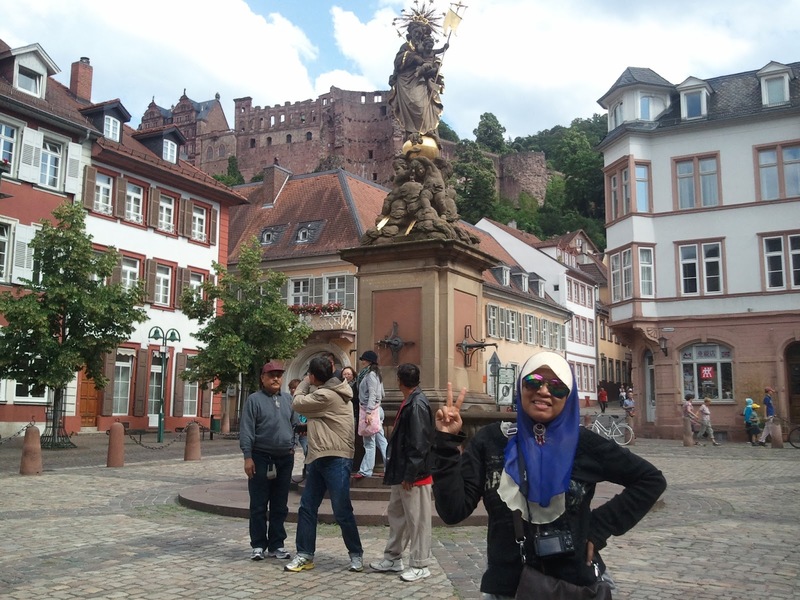 However, due to lodging problem and Frankfurt being a busy city, Heidelberg is a better destination. There are few people who were quite frustrated but I'm sure the tour manager has really thought about all the pros and cons. In fact, our trip not only skip Frankfurt but also Florence. Florence should be a stop after Venice and before reaching Rome. However, it has to be scrapped since there are so many traffic problems. Which is also a major dissappointment for some people. I know it's not easy to squueze in as many destination as we want within very limited time and I have no complaint. I'm sure, if I intend to go to Europe again, I know where to go and will plan my time accordingly so that I can enjoy my trip. Back to Heidelberg, what a beautiful castle it is. I swear I have never heard of this place before the trip but there are many Asian tourists here! The thing I really respect here is the cleanliness. You can hardly find any garbage strewn everywhere but the garbage bin is hardly seen. Amazing, isn;t it? 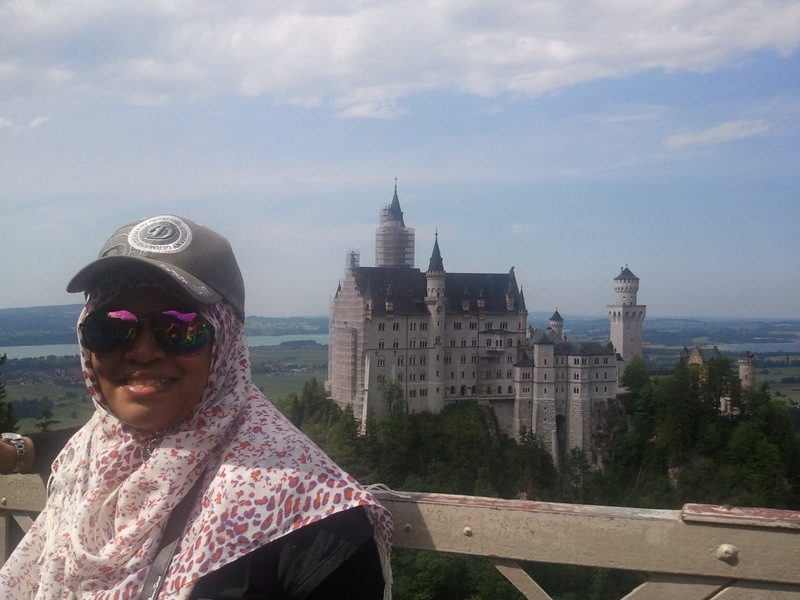 Here in Malaysia....sigh...I need not say more....after camwhoring here and there...we travelled down to Nueschwanstein. I can sleep here and no one cares! 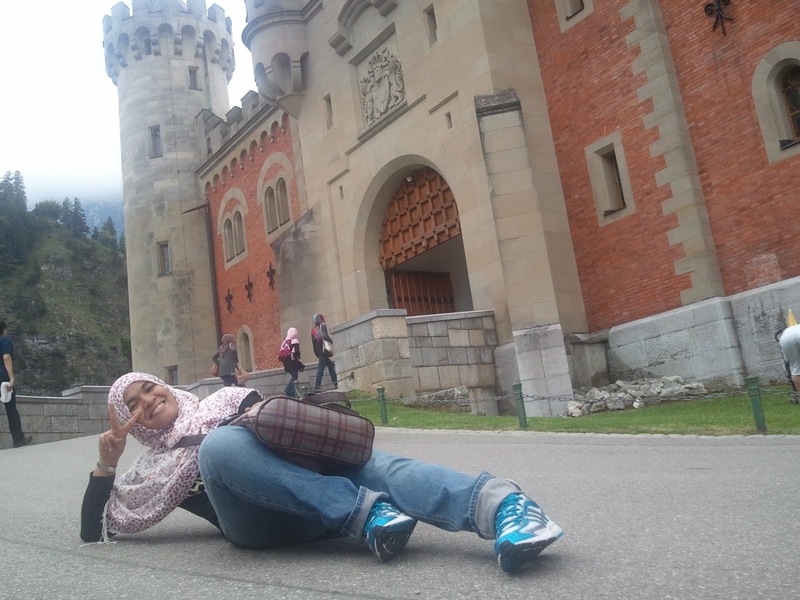 huhu...another castle in germany and Nueschwanstein however is more famous than Heidelberg. And Nueschwanstein actually has two castles nearby. The yellow castle and white castle. The history were, there used to be a crazy king, mad about castle and spend his entire fortune on building castles. The castles are so pretty and even the great Walt Disney seemed to admire the white castle and built a similar castle for Sleeping Beauty. That;s the Sleeping Beauty castle! After the trips to all these castles, we headed to our next base camp, and getting ready for our next adventure to Innsbruck, Austria.